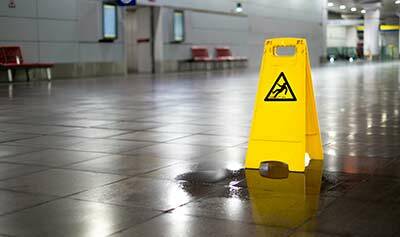 If you slip and fall at a grocery store, or are hit by falling merchandise in a retail store, or are injured at a railroad crossing, you are deserving of compensation to pay for your medical expenses, cover your lost wages, and pay other legally recoverable damages. In the state of Arizona, property owners are liable for your damages when they knew, or should have known, of a dangerous condition but failed to place any warnings of the dangerous condition, or correct the dangerous condition, which is the cause of your injury. This is called “premises liability.” At Mingus Mountain Law Group, we obtain monetary results for our clients who were injured on a dangerous property when the property owner failed to keep it safe. If you were injured by the negligence of a property owner, we would like to help you. These individuals or entities are the defendants in a premises liability action. Although they are the ones who will be liable for their premises, the dangerous condition could occur in a number of ways. Some of the most common are the following: a wet floor in a grocery store or restaurant causing a slip and fall; merchandise falls off an overstocked shelf at a retail store and strikes someone; unprovoked assault by bar patron in a bar; or a dog attack (please see our “Dog Attacks” page for more information on dog attacks). What may seem like a simple incident at first may result in serious long term physical and emotional injuries. If you were injured on the property of another because they failed to warn you of a dangerous condition, or because they failed to fix the dangerous condition, you deserve compensation that we can help you secure. It is important to protect and document the evidence in a premises liability case before it disappears. We can help. In order to speak to an experienced attorney about your case, contact Mingus Mountain Law Group today for a better tomorrow.